Surrounded by a coterie of ministers, the Imam rules over an imaginary earthly kingdom. Bint Allah is the Daughter of God, a beautiful illegitimate girl. She is falsely accused by the Imam of adultery and sentenced to death by stoning. Then, during the annual Victory Holiday, the Imam himself is killed. 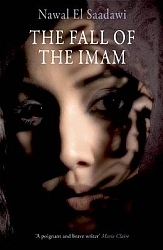 The story of each of these deaths is told repeatedly, as this powerful and poetic novel reveals the underlying hypocrisy of any male-dominated religious state, and the insufferable predicament of women in a society that must ultimately self-destruct.